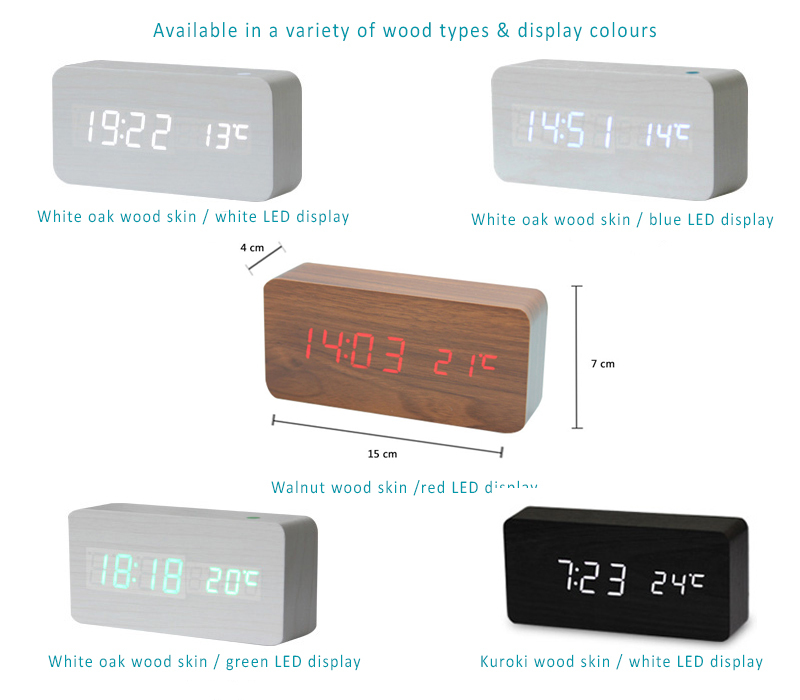 Home › Rechargeable Wooden LED Display Clock,3 Alarms,Time,Date,Sound Control-9 stalls brightness adjust. 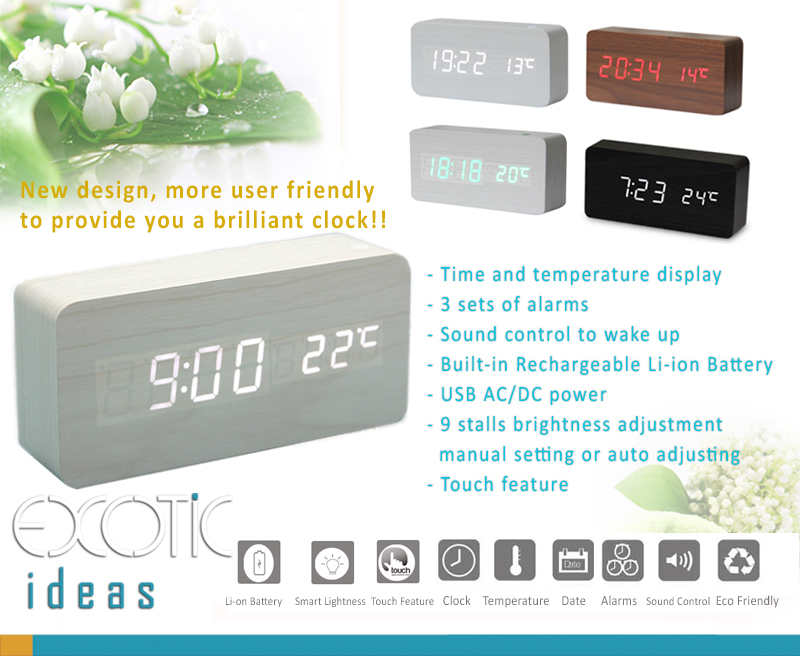 Rechargeable Wooden LED Display Clock,3 Alarms,Time,Date,Sound Control-9 stalls brightness adjust. 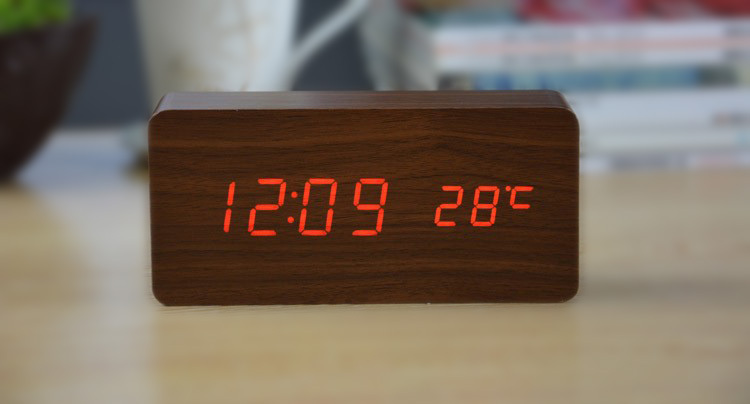 Wood Wooden Clock with LED Display, 3 Sets of Alarms, Time, Date, Temperature, Sound Control - Rechargeable battery built-in. 9 stall brightness adjustments. 2. Mercury-free, non-toxic. Safe to use. 3. 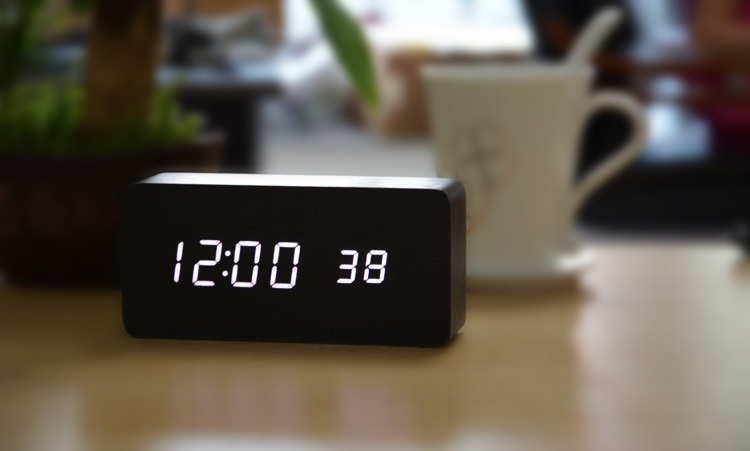 Display particles layout as light scattering, eliminate most light pollution. - Long life Usage : high-quality LED light for long life usage. 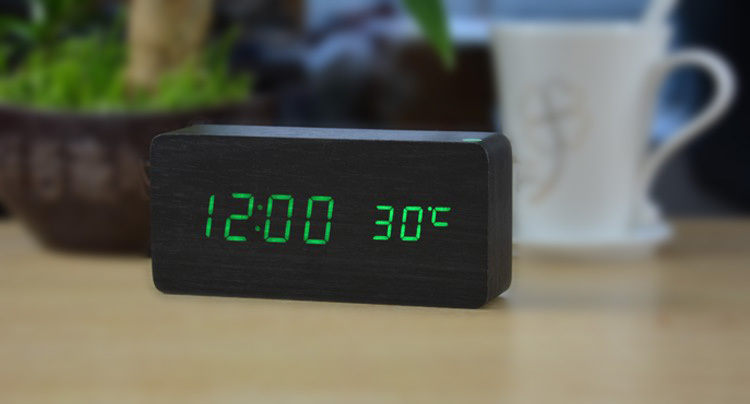 - High performance: Time, Date, Temperature display, intelligent brightness adjustment. 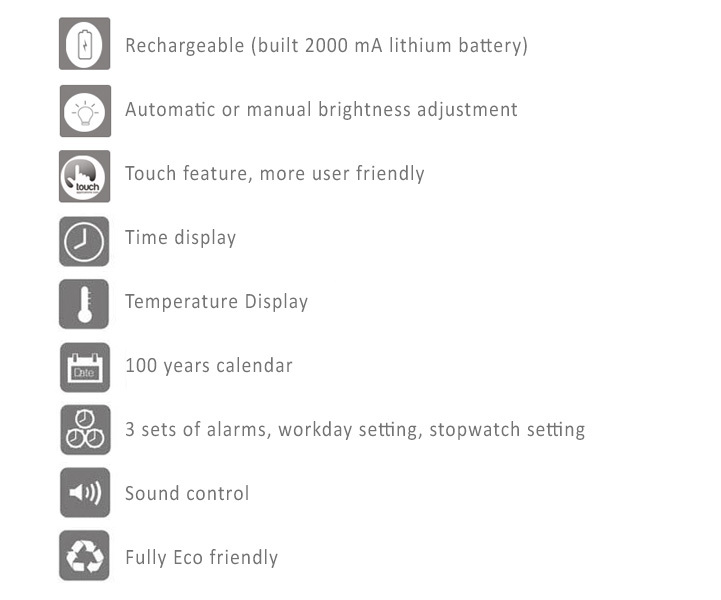 Convenient operation: multi-function key settings. 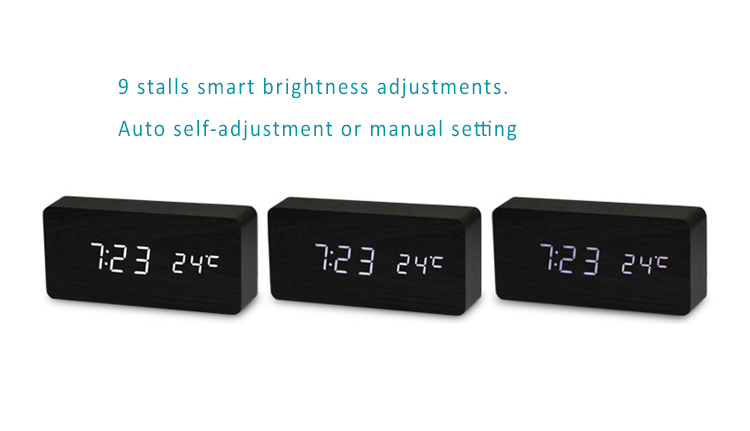 - Brightness adjustment: 9 stalls automatic or manual adjustment.